Ambient Weather is expanding its earlier recall of Ambient Weather radios to about 57,000. Some 12,500 were recalled in August 2015. The recalled Ambient Weather radios are red and black and measure about 8 inches wide by 4 inches tall by 2 inches deep. “Ambient Weather,” “AM/FM/Weather Band Radio” and “NOAA Weather Radio” are printed in white lettering on the front of the radio. The radios have a black crank handle on the back, an antenna on the top, and LED flashlight on the left side, a clip on the right side and a cable to charge a smart phone. Accessories included an AC adapter, DC converter or solar panel charger. Model number WR-333 WR-333A, WR-334-U or WR-334A-U is printed in the owner’s manual. 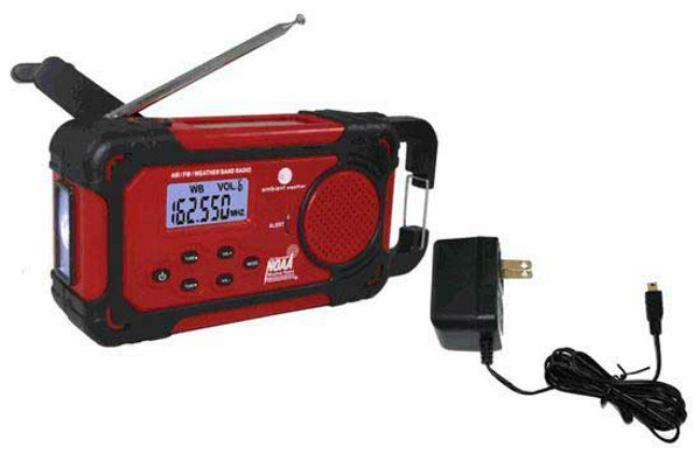 The radios, manufactured in China, were sold at Grainger stores nationwide and online at Amazon.com and AmbientWeather.com from October 2012, through June 2014, for between $30 and $90. Consumers may contact Ambient Weather toll-free at 877-413-8800 Monday through Friday from 8 a.m. to 3 p.m. (MT) or online at www.ambientweather.com for more information.